There are just 27 days until Halloween and while the verdict is still out whether Danny and I will be hosting a Halloween party, my costume is set in stone. Surprisingly this idea has proven to be controversial and not from those that you might expect. (Lady Edith fans.) Rather my husband and his friend Mark have been giving me flack. Specifically, Danny told me this costume idea was "boring" while his friend Mark said it was "not hot". Dicks. 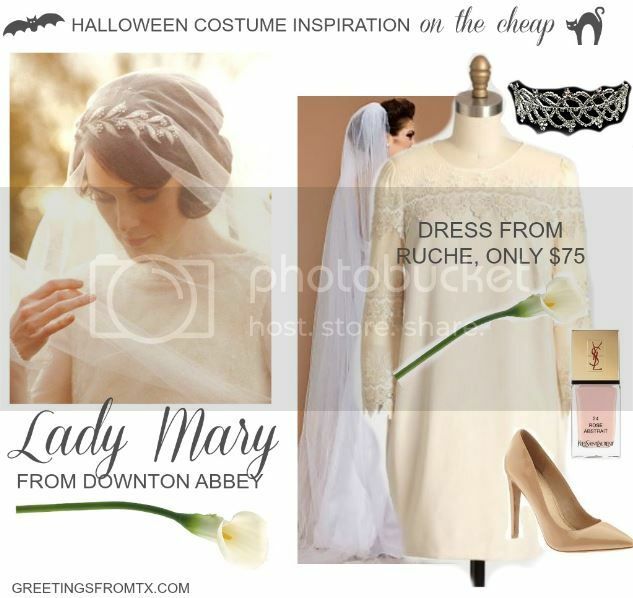 While I acknowledge that my costumes in years past may have been more overtly sexual (the year I went as a slutty girl scout comes to mind) I am excited to dress conservatively and attempt to woo suitors with wit, polished flirtation skills, and lust - just like Lady Mary. **Leona Tunic Dress found here at Ruche! ah, yes! wonderful idea! i love this.